Not actually my beer (I can’t drink the dark stuff) but this a preview of the pretty glasses they serve them in! What: A craft beer joint (23 different types!) housed in what used to be an old school chinese pharmacy. See: hipster. Pros: The beers (prices range from SGD8-15-ish), which are plentiful and DELICIOUS and the staff who are helpful and charming. Cons: Food is not their strongest suit – especially the coffee ribs – don’t order them, they be bitter. Also, where are the nuts man? I need me some nuts with my beer! Verdict: It’s a great place to start the night, especially if you’re a beer drinker. 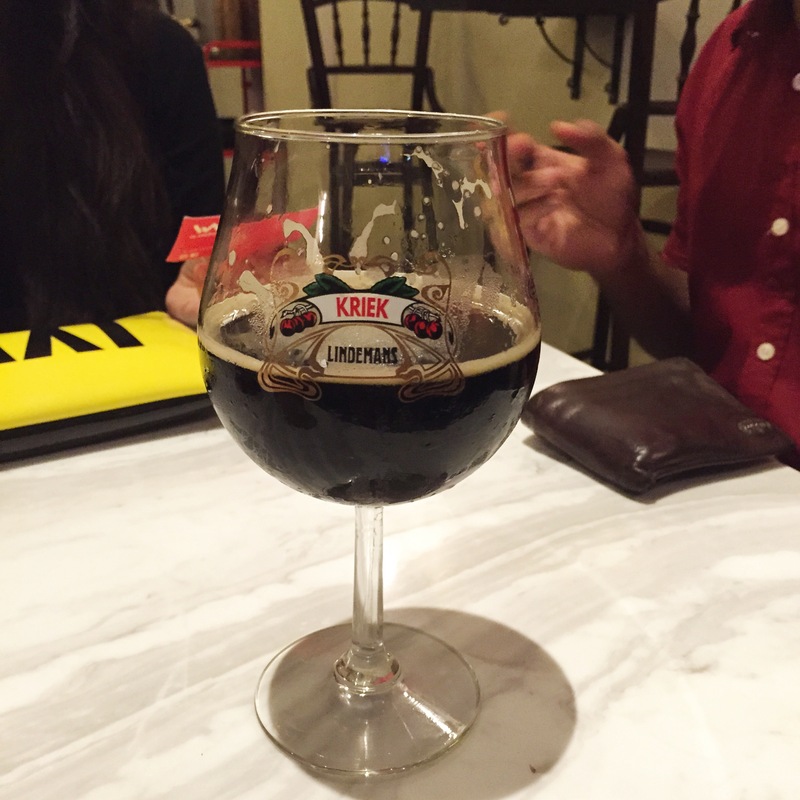 My recommendation – tuck in a dosa, or two, at nearby Little India, and walk over for some beer to settle those carbs.